We travelled to Wagin on Thursday 9th , the students set the sheep up in their pens then we travelled to Narrogin Agricultural College to set up our dorm. It was an early start on the Friday as the students cared for and prepared the sheep from our new Suffolk Stud for showing, we had a lot of nervous students, with many attending their first agricultural show . We were very pleased with their performance and the school achieved a third place in the Interschool Competition. 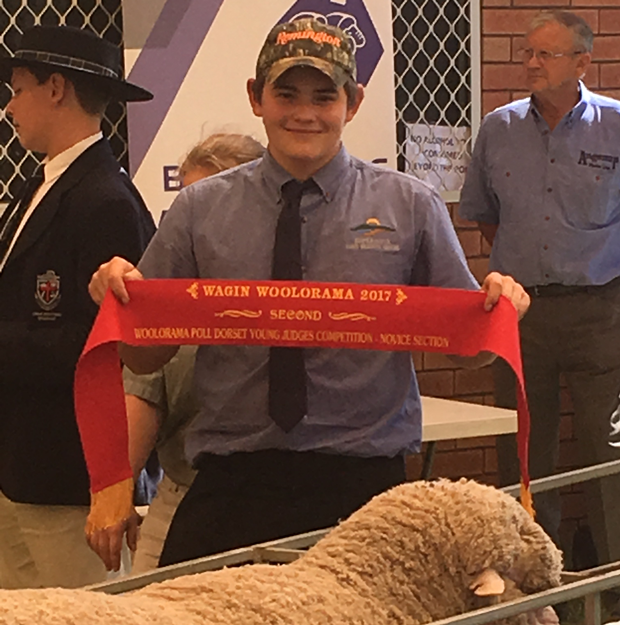 The Saturday saw the start of the Junior Judging competition, the students had to judge wool quality as well as judge livestock in the Merino and Poll Dorset section of the competition, again we had some anxious first timers. The highlight from this day was when William Clements was announced as the second placegetter for the Poll Dorset judging section. We had some students step up and take on extra responsibility by helping other studs with the showing of their animals, this provided a great experience for our students to further develop their skills.